From the famed and celebrated director Francis Ford Coppola, master of imagination and special effects, comes the classic 1992 film has an abundance of both. Viewers are lured into a world of seduction, deception, and emotional intensity by an all-star cast that includes Gary Oldman, Keanu Reeves, Anthony Hopkins and Winona Ryder. 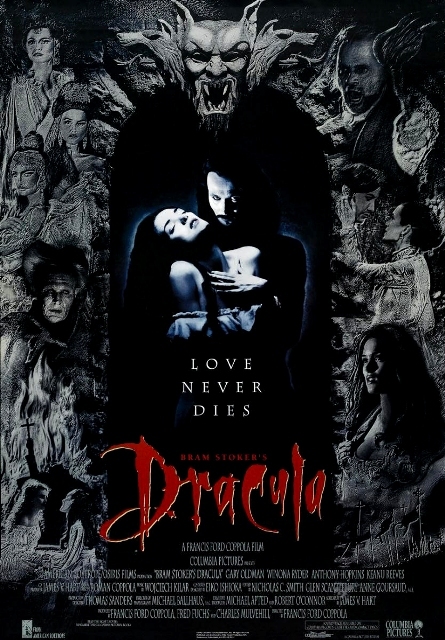 The desire to possess another man’s fiancé is the driving force that propels Dracula towards his ultimate destruction. Coppola’s technique of cross cutting between scenes before they seem to be completed contributes to the film’s overall sense of urgency created by the insatiability of desire. 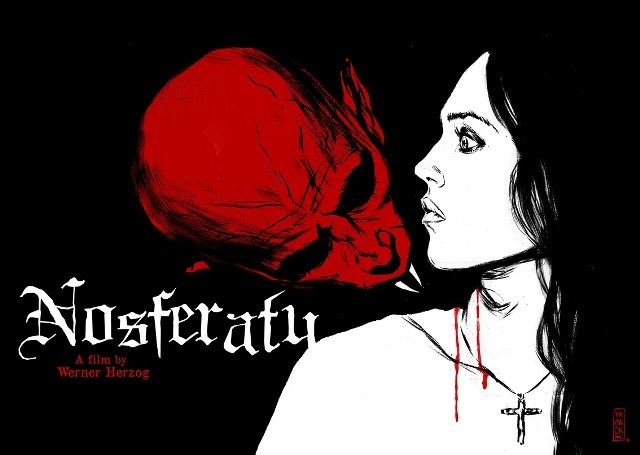 Also based on Bram Stoker’s novel, Werner Herzog’s Nosferatu the Vampyre is a cinematic masterpiece of natural beauty starring Klaus Kinski as Count Dracula and Bruno Ganz as devoted husband Jonathan Harker, whose wife the Count has plans to seduce. This film beautifully illustrates, and amplifies, the power of nature, as well as its complete indifference towards human suffering. In this film, even human nature is no exception to the rule, and madness is the ultimate consequence of being blinded by love to the existence of evil. 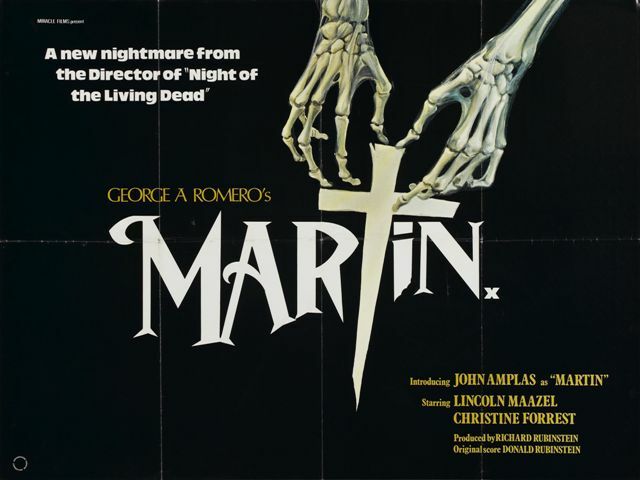 A film from the twisted mind of George A. Romero, starring John Ampas has become a cult classic for good reason. With the clever use of dark humor, it addresses the horrors of loneliness coupled with sexual desire. Through the character of Martin, the hormonally charged teenaged protagonist of the film, we are confronted with the true extent of the madness to which we can all potentially be driven by that deadly combination. Martin’s lethal weapons of choice in his battle against loneliness and potential romantic rejection or denial of his own humanity and a desire to transcend it. This 1985 summer blockbuster from Tom Holland, starring Roddy McDowell and William Ragsdale, is a comedic combination of realism and the supernatural. In this film, one of the main characters is offered the choice between the horror of eviction and the horror of accepting payment to confront vampires that nobody else believes in anymore. This film points out that evil doesn’t cease to exist simply because people stop believing in it, but rather, flourishes undetected while hiding in plain sight. The special effects provided by Richard Edland of Ghostbusters fame are an added bonus. 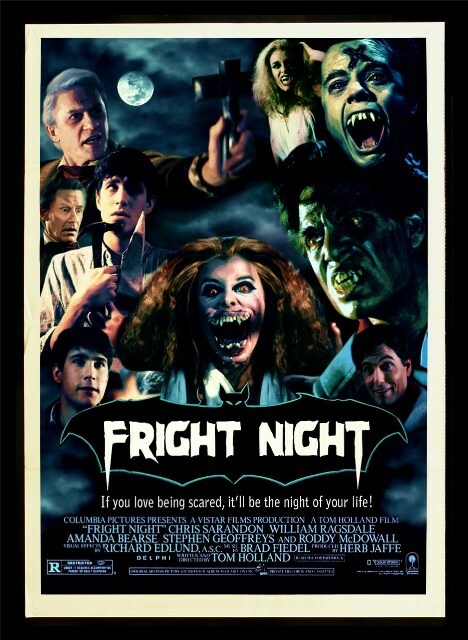 Naturally, the film was remade in 2011 and those wanting a double dose of fright can watch them back to back thanks to services like Netflix and DirecTV. Neil Jordan’s 1994 film, is based on Anne Rice’s adaptation of her hugely popular novel for the big screen. 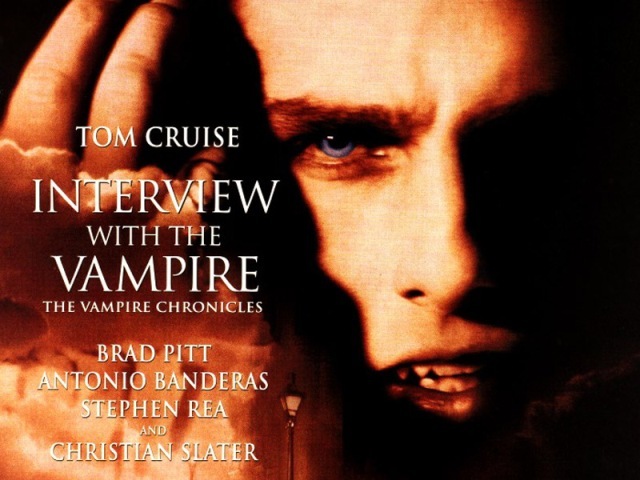 Starring Tom Cruise as the vampire Lestat, it presents immortality itself as a horror, and those who are cursed with it as doomed to the eternal suffering of grief, loss, and unsatisfied desire. Claudia, a child vampire played by Kirsten Dunst in a breakout performance, experiences perpetual anguish at her inability to physically age and successfully complete her transformation into womanhood. Betrayal and revenge also take on a whole new dimension within the expanded framework of eternity. This entry was posted in Holiday Horror, Movie Reviews and tagged VALENTINE'S DAY, Vampire Movies. Bookmark the permalink.